As we say goodbye to a momentous 2011, it’s time to reflect on some of the big happenings in the FOSS world. Apart from Android’s rise, Torvalds’s rant, and a tasty ice cream sandwich treat, the year also saw some big changes taking place for popular Linux distributions. While many of the changes ranged from annoyingly buggy to downright unusable, a few pleasant minty surprises did manage to cleanse the Linuxiens’ palettes. 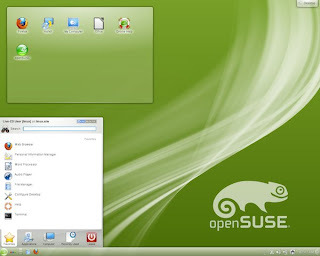 With the advent of Unity, Linux Mint, then a familiar name only amongst developers, tinkerers, and hackers, made its foray into the desktops of the so-called ‘normal’ users. Thus began a game for the top spot in the users’ hearts. And, even though Ubuntu somehow managed to keep its head high by the end of 2011, it finally had to settle on a modest second spot on the coveted DistroWatch list. The distro scene in 2011, though mired in controversy, was a witness of some of the boldest -- and perhaps game-changing -- decisions ever taken in the FOSS community. Earlier, when Fedora, Ubuntu, Mint, and Suse offered pretty much the same interface, there was a little competition -- and also little uniqueness -- amongst the individual distros. 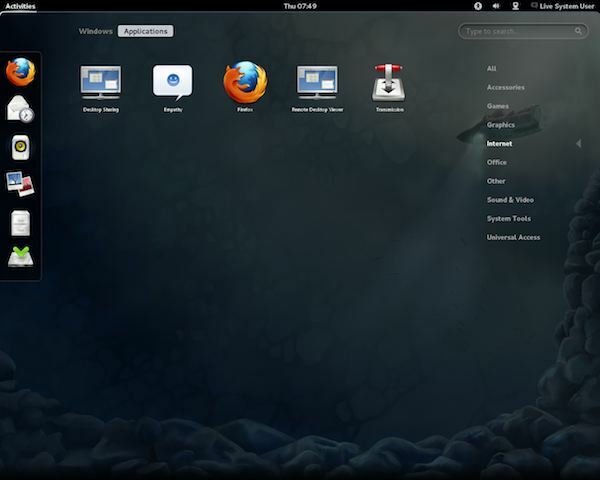 However, once Unity and GNOME Shell entered the scene, each distro now had something different to offer. Fedora went with GNOME 3, Ubuntu stuck by Unity, and Mint, well, Mint did something a little different. Mint made combined the best of both interfaces and brought a modern, stable, and a beautiful desktop for its users. Thus, having witnessed what is perhaps the best ‘distro war’ ever, it’s time to showcase the winners who braved the storm and emerged strong enough to be featured in our list of top 10 Linux distributions of 2011. 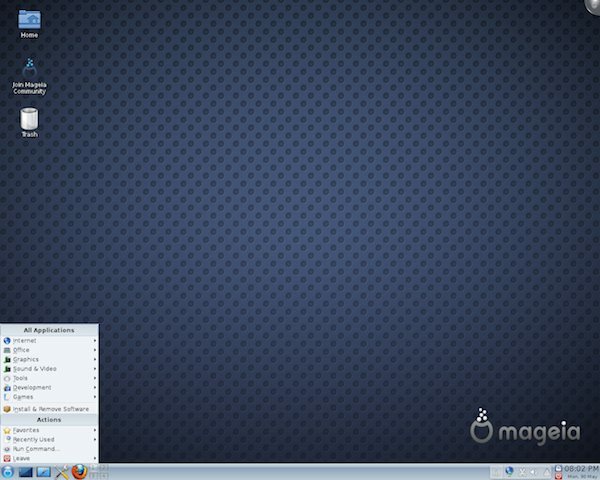 Founded in September 2010, Mageia is a fork of the once-popular Mandriva Linux. The distribution was started by former employees of Mandriva, which is a publicly traded Linux and open source company based in France. Mageia comes with a slightly customized KDE giving it a certain edge over other distributions that ship a plain vanilla version of the desktop environment. Having said that, Mageia is still in its nascent stages, and it would take some time before it reaches the level of maturity that other KDE-based distros have reached. Though not as popular as Kubuntu, or even Chakra, Mageia does have the potential to become a solid KDE-based distribution in the future. 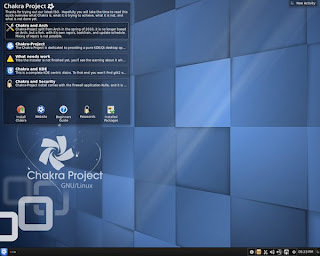 When it comes to KDE-based distributions, there are many users who prefer Chakra over Kubuntu. Forked from Arch Linux, Chakra is undoubtedly one of the most beautiful-looking distributions to come out in 2011. What makes Chakra so special -- especially when compared to Kubuntu -- is that it includes a customized KDE interface that is absolutely gorgeous, and yet, it’s one of the most user-friendly ones we’ve seen this year. Again, the popularity of Chakra is not as widespread as Kubuntu’s, but it does seem to be gaining a huge amount of following amongst KDE fans. 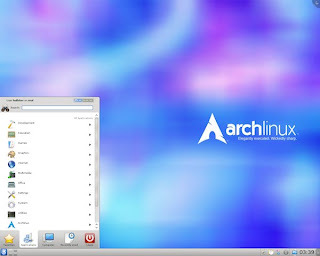 Currently on the 6th spot on Distrowatch, Arch Linux is one of the most powerful distros around. Operating on a rolling-release system, the distribution provides the simplicity and minimalism that every Linux fanboy demands. Thanks to its amazing package manager called Pacman, users are able to install or update any package, at any time they want. So, if you want the bleeding edge of everything that’s made in the Penguin Land, Arch Linux is the one for you. Cringing at the sight of Unity? Not a big fan of the whole ‘user friendly’ thing are you? Then, ditching Unity for Debian is something you should add to your To-Do list right now! 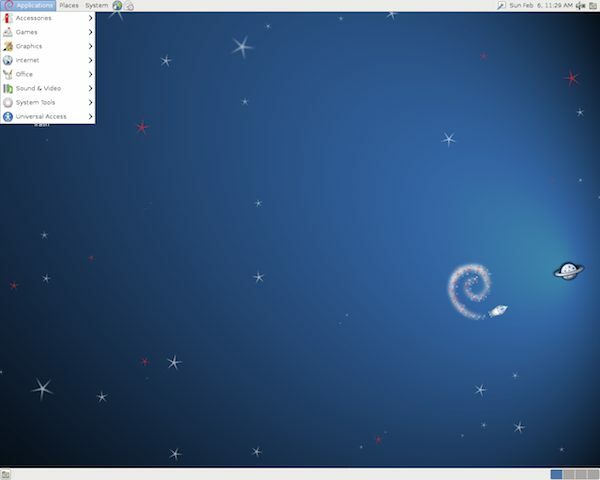 Debian brings the classic, plain and simple GNOME interface back to your desktop. Of course, since Ubuntu is based on Debian, you won’t have to learn new things. Most of the things remain the same, including the beloved package manager. 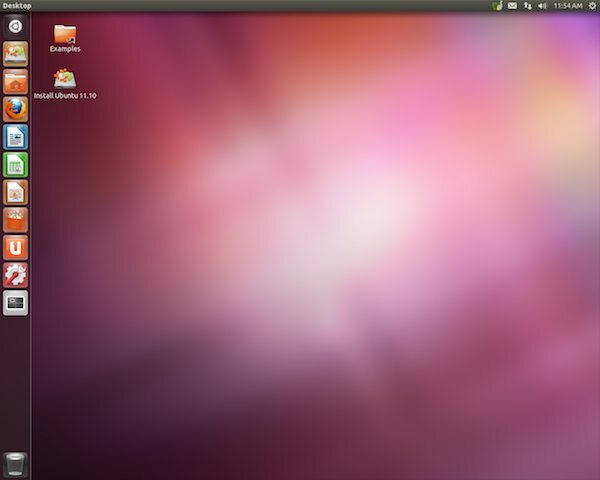 The installation, however, might not be as user-friendly as it is on Ubuntu, but it’s not that hard either. Love it or hate it, Debian is still the sweetheart of many Linuxiens around. Fedora still is one of the most popular distros around. It enjoys a large user base and its stability is something that is envied by even the most dedicated Ubuntu fanboys. Having said that, 2011 was a bit on the disappointing side for Fedora users, especially with the introduction of the contentious GNOME Shell. Being the first distro to feature the highly awaited GNOME revamp, Fedora became a punching bag for many users disappointed by GNOME 3. Moreover, GNOME 3 also made a lot of Fedora fans seek out other distros, thus affecting the RPM-based project’s popularity. Nevertheless, Fedora still is a hot favorite of not just developers but also end users who benefit a lot from the customized ‘spins’ that the community provides with each release. Novell’s openSUSE is still one of the most popular Linux-based distributions around. Its familiar green interface and the dreaded YaST have given the distro a unique identity and branding. That said, SUSE’s popularity is a bit on the decline, especially with the rise of Ubuntu and all its friends. This year though, the green distro managed to stay sane by not switching to Unity or GNOME Shell thus earning itself a number 5 spot on the list. The KDE-based distribution is still a hot favorite amongst many developers as well as end users. Though ranking low on Distrowatch, Xubuntu does prove to be a great viable alternative for people using lightweight machines. 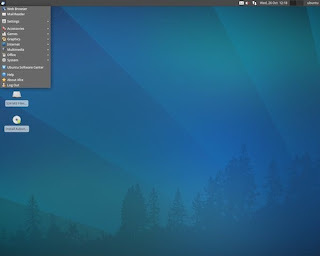 The Ubuntu-based distribution comes with the thin-and-clean XFCE, a desktop Linus Torvalds switched to once GNOME Shell came out. With a minimalist interface, XFCE also serves as a full-fledged user-friendly desktop for anyone who’s tired of the current trend amongst the distributions. 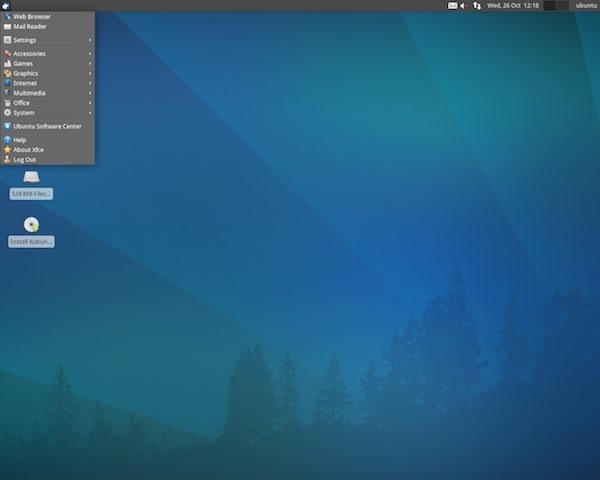 Ranking fourth on our list, Xubuntu promises a usable and stable desktop experience without sacrificing the familiarity of Ubuntu. 2011 was the most happening year for Canonical. 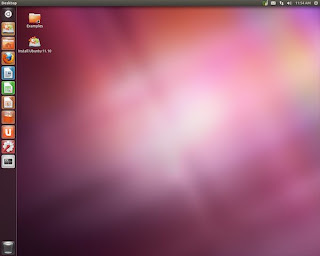 Ubuntu, Canonical’s flagship product swerved into new territories by introducing the controversial Unity interface. Unity, which came along with Ubuntu 11.04, received a lot of flak from not just developers but from end users as well. The clumsy, and sometimes unusable interface made many loyal Ubuntuers switch to Mint. The only reason Ubuntu manages to land the third spot on our list is the release of Ubuntu 11.10. Oneiric Ocelot, which improved Unity in a lot of areas, did bring a lot of smiles on the faces of frustrated Ubuntu users. That said, Ubuntu still lacks the polish and more importantly the ‘precision’, which, hopefully, the next version might bring to the table. 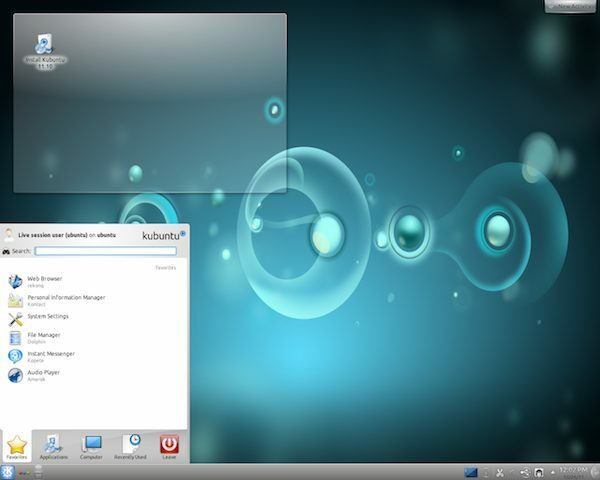 Whilst the Linux world was going bonkers over Unity and GNOME shell, KDE was only desktop that was stable yet modern. A lot has been said about KDE, more so because it too started off on a controversial note, but then went on to become one of the most beautiful-looking and stable desktop environments around. Kubuntu is a distro that brings all the goodness of KDE without sacrificing the familiarity and stability of Ubuntu. Loaded with some awesome applications like Amarok, Dolphin, and Kopete, Kubuntu proves to be the perfect alternative to the Unity-ridden Ubuntu. The reason Kubuntu wins the second spot is the fact that, unlike Canonical and GNOME, it didn’t try to do anything radically different this year. It just stuck to what it has been doing all along, and improved upon it. If you’re looking for a modern, aesthetically pleasing, stable desktop, Kubuntu is your best bet. Like on Distrowatch, here too Linux Mint enjoys the number 1 spot. The Ubuntu-based distribution, which saw a huge spike in popularity this year, has suddenly become the hot favorite of many Linux users. Thanks to Unity, users and Ubuntu loyalists alike migrated to this little-known distro in large numbers. The simplicity and the stability of this minty-fresh distro is such that we too have been waxing eloquent about its feature. 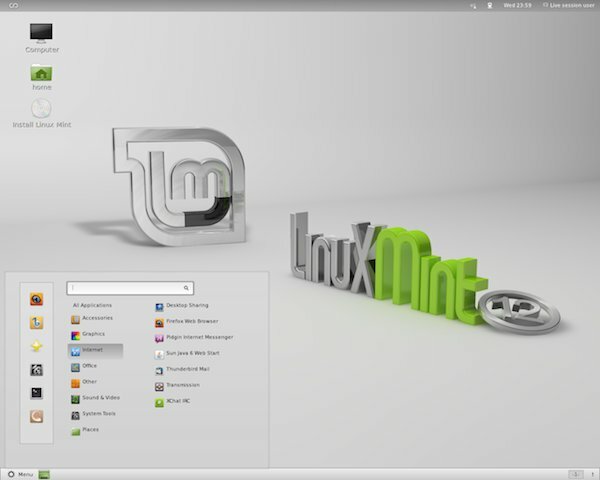 Simply put, Linux Mint is the hottest Linux success of 2011. What’s your top 10 Linux distros of 2011? 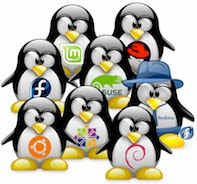 Which 10 distros do you think were the absolute best in 2011? Share your list with us in the comments section below. Since 50% of the listings above are Debian based (including Debian itself), Debian should be #1. Without it, this would be a top 5 list. "Then, ditching Unity for Debian is something you should add to your To-Do list right now!" Oh, really? Unity is a UI, while Debian is a distribution. You're comparing apples with grapes or something. Rating based on UI's? Common! Do some real comparison! 5 - Linux Mint: because they put an experimental shell over Gnome Shell to create a usable interface for their main edition. on top of that, Clem is forking Gnome Shell to make deeper improvements. 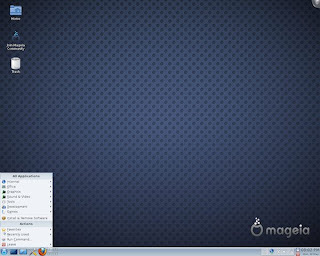 10 - Mageia: for continuing where Mandriva dropped the bomb and for keeping the excellent KDE 3.5-esque DE. Singularly the most interesting rpm distro. Fedora 13 has huge problems with hardware. 3 different distros - Live CD, CD image, network distro - have their own DIFFERENT problems and failed at DIFFERENT phases during installation. Wheres Fedora 10 and 11 have been successfully installed on the same PC before!